How to Choose a Website Builder?How to Choose a Website Builder? Launching a website can be a challenge, if you fail to choose the right web building tool. Gone are those days, when you had to learn to code like a professional or even hire a web designer to complete the task for you. With the introduction of website builders, the approach to the web design process has completely changed. These services have simplified the entire web development process, making it more convenient and affordable for users with diverse web design background and aspirations. Now that the choice of website builders is pretty extensive, there emerges the question: how do you know, which platform exactly will come up to your needs? Here is a detailed guide on the major factors to be considered, when making the final solution. Whatever website builder you will go for, you will see that it has its pros, cons and specific characteristics. Comparison of these parameters allows selecting the service, which will ideally work for your web design needs and requirements. Here are the top factors you should take into consideration, when looking for a decent website builder. Website builders fall into two large groups. These are all-in-one services, which make it possible to launch different types of websites (landing pages, business websites, portfolios, online stores) and specialized systems that serve a certain goal only (music websites, web stores, portfolios, restaurant websites, automobile websites etc.). Focus on your particular goal and decide, whether it is better for you to use a all-in-one service with multiple templates or you should still select a niche solution. Let’s have a look at the detailed review of the major website types and specializations now. Services belonging to this group come with a broad spectrum of features, which let you create different types of projects with regard to your needs. They often come with integrated hosting and allow connecting your own domains. The range of tools they include lets you get the most out of the web building process by customizing website design and enhancing its functionality. Availability of themes, widgets and integration options. Some services lack nuances to launch a niche website. All-in-one website builders are generally easier to explore and master as compared to specialized platforms. They work better for newbies or for those users, who just need a website and don’t wish to bother about coding or web design nuances. Examples of all-in-one website builders: Wix, Weebly, uCoz. Online store builders let you create small-to-medium online stores. Correspondingly, their feature sets go down to the eCommerce tools and options. They offer quality eCommerce templates, an opportunity to set up payment, taxation and shipping details, multiple product lists and fields needed to specify their descriptions and parameters, marketing and promotion tools etc. Examples of specialized eCommerce website builders: Shopify, 3DCart. An expert selection of the best eCommerce website builders. The ultimate guide of launching your own online store. Services belonging to this group make it possible to launch business websites. Thus, the features and the tools they offer serve this very purpose. Business website builders vary in the amount of templates, business promotion and marketing tools, functionality, the assortment of widgets and add-ons, diversity of integration options etc. Examples of small-business website builders: uKit, IM Creator. Our rating of the best small-business website builders. Portfolio website builders is the top notch destination for users, who wish to showcase their works and creativity on the web. 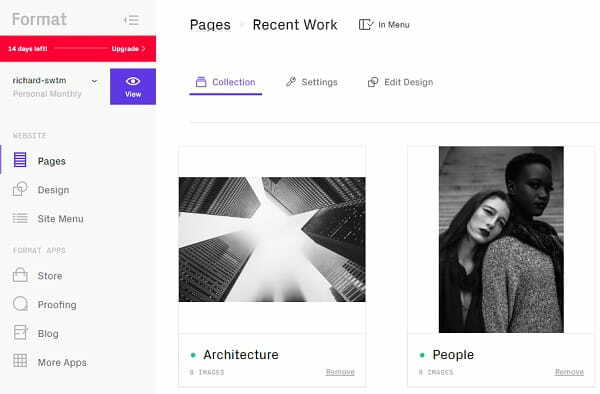 These platforms allow uploading multiple photo and video galleries as well as other content users might need to launch an eye-catching portfolio without a line of code. Examples of portfolio website builders: Format, Pixpa. A detailed research of online services to start a portfolio website. Helpful hips of creating your own online modeling portfolio. If you are a marketing expert, who needs a quality landing page to create an impression upon first-time visitors and boost traffic, it makes sense to use a specialized website builder to launch it. These systems are specially meant to cover such needs and they come with niche-specific tools necessary for a call to action implication. Examples of landing page website builders: Instapage, Tilda. A compilation of services as much suitable to launch an one-page website. Websites should be user-friendly to let you bring all your web design ideas to life. They should ensure intuitive web design process, making it simpler for you to upload and manage the content. Contemporary website builders come with WYSIWYG options, which allows controlling each step of the web design process. This is a must-have feature for inexperienced users, who lack coding skills but aim at getting the top notch result. Our handpicked and tested selection of the easiest website builders. Some website builders make it possible to launch websites in the automatic mode by using the merits of the Artificial Intelligence. This advanced tool allows creating websites with no hassle and coding skills at all by simply providing information the system requires. This makes the web design process easy, quick, hassle-free and smooth. Examples of easy website builders: uKit, Wix. Professional web designers also value an opportunity to control the website development process in the WYSIWYG editor, but this is not a must-have feature for them. What they value most is the features allowing to adjust more detailed and flexible website settings as well as to complete deep website customization. Experienced web developers have to focus on website builders that come with code editing option to reach better results. Examples of portfolio website builders: Webydo, Webflow. In-depth research of website builders, made for professional web-designers. The more templates a website builder has, the more diversified the web building process will be. You’ll have a chance to choose among lots of themes to come up to your website specialization or you can even select a blank canvas to create a website from scratch. This depends upon your skills, expertise rate, time you are ready to invest into the project and the result you expect to avail. Do Website Builders Have Thematic Templates? Website builders mostly come with a collection of thematic templates, which work well for a particular topic. Thematic templates may vary in characteristics, designs, styles and parameters, but you can choose any of them in a particular category and start customizing it at once. Is There an Availability of Free/Paid Templates? Whatever website builder you will go for, its template collection will consist of free and paid themes. 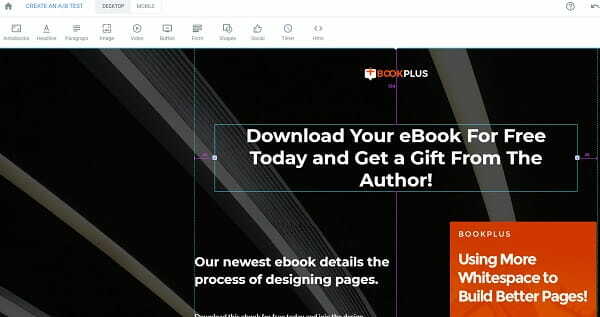 Free themes are more similar in structure and a bit simpler than paid samples, customization of which will allow getting a personalized website. How Deep Is Website Design Customization? There are website builders that don’t allow for CSS code editing and those, which make it possible to do that. Newbies mostly don’t use this option, while experienced users need it for deeper website design customization. Some website builders imply the integration of plugins and add-ons to get the most out of the web building process. Widgets and Add Ons allow expanding your website performance and functionality. It’s up to you to decide whether you’re ready to cope with plugin integration or not. If you don’t, there are multiple simple services that don’t have such a requirement. Who Needs Widgets and Add Ons? Business Websites (callback option, email marketing, bookings and calendars, live chat etc.). Restaurant/Cafe/Hotel Websites (room booking, table reservations, order online option, email marketing, customer service, commenting option etc.). Online Stores (detailed order management, abandoned shopping cart recovery, payment and shipping settings, online forms, customer reviews etc.). Landing Pages (A/B testing, pipeline management etc.). If you aim at building a website with impressive functionality, you won’t go without integrating with third-party services. This is where the choice of a website builder matters a lot. Simple systems usually don’t integrate with other design or marketing services. As far as newbies mostly focus on using simpler web building solutions, they are not generally interested in the available integration options. More complex platforms, on the contrary, usually have multiple integration options, supporting the platforms for social promotion, for example. Thus, if you plan to use multiple services to contribute to your website design and performance, make sure to select the corresponding platform. 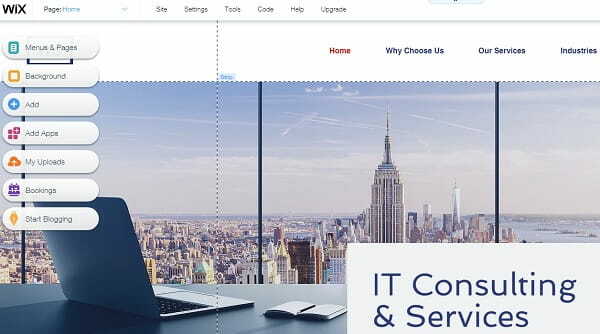 This mostly concerns web design professionals, who aim at launching professional websites with outstanding performance. If you wish to establish reliable web presence and drive traffic to your website, choosing a SEO-friendly website builder is a must. Fortunately, almost all contemporary website builders work well for quality SEO optimization. This is a benefit in itself as inexperienced users won’t have to bother about the issue at all. Professional web designers, however, have to select services that support deeper SEO settings (redirects, robots.txt editing option etc.). They should be able to manually fill out meta tags to keep control over this aspect and analyze their website positions on a regular basis. A complete guide how to get your website, built with website builder, ranked well on Google. When it comes to website creation, powerful customer support matters a lot. This is especially true, if these are your first attempts to create a decent website – the one that will come up to all your needs and requirements. Unfortunately, some services underestimate the importance of having live customer support, offering tutorials and FAQs instead. However, there are also website builders, the customer support services of which are ready to provide the required assistance any time of the day. Make sure to select this option, even if you need to pay a bit more for it (free options are also available). Most website builders have free trials, which allow testing the features of the platform, but don’t work for launching decent websites at all. Some free plans are limited in time, while others are never-expiring. There is, actually, no big difference between these options. This is because any free plan allows testing the service only and, thus, cannot be used to launch a full-featured website. Disc volume (hosting size): this is important for project hosting and further website functioning. Limited or unlimited bandwidth: if you know that you won’t have millions of clients, then it doesn’t make sense to pay more for the unlimited bandwidth. Proficient webmasters can make use of an advanced White Label option some website builders offer at certain cost. This feature allows making use of all the benefits of the service under your own brand name. White Label solution works great for users, who plan to launch their website builder businesses and attract many clients (web design agencies, resellers, hosting companies, entrepreneurs etc.). Detailed review and cost comparison of website’s establishing and operating. We’ve compared the most popular SaaS website builders and CMS. With such an extensive selection of website builders available in the contemporary niche, choosing the best one is not an easy task. There is much to consider here. If you are right about to make your choice, review the tips provided in the article and put down the issues that are important to you. Take your time to make your own research, test at least several platforms, read customer reviews and make the final choice. It takes time and effort to do that, but, if you do everything right, the result will be worth that.